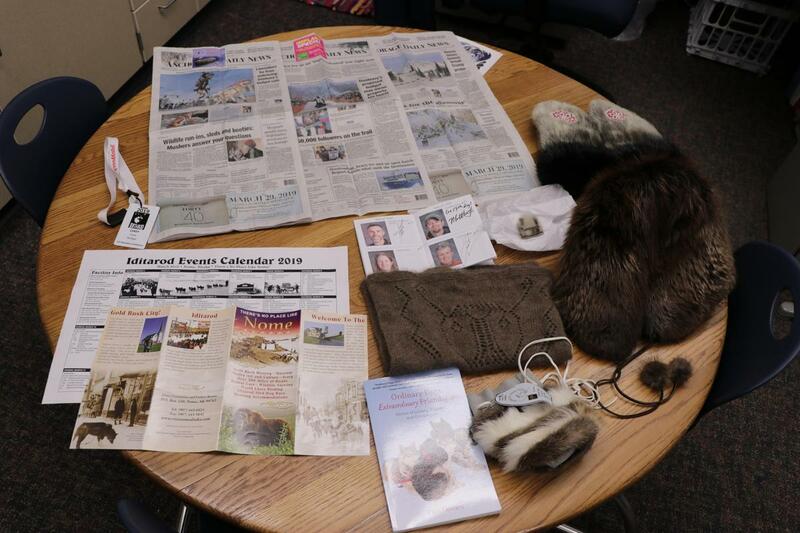 This winter, Mrs. Cramer's class was wild about the Iditarod since she had the opportunity to go there for the race. 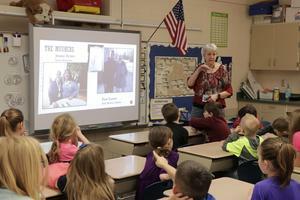 Weeks before the Iditarod, Mrs. Cramer's 2nd grade class at Dix Street was learning about all this Alaskan dogsled race. They learned its history, the geography and details of the race, all about the mushers, the dogs and the sleds and what takes place over the 1,000 mile contest. 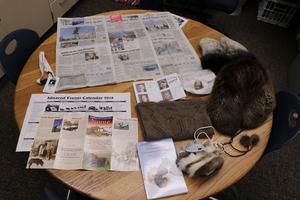 They each chose a musher to research and then follow during the race, too. What was even better, though, was that they actually got to see it through their teacher's eyes.. and camera lens. Mrs. Cramer attended the Iditarod Teacher's Conference in Anchorage, Alaska where she networked with teachers from all over the country on ways to work this historic race into the classroom. But they also got to meet the mushers, take part in race celebrations and activities and volunteer during the race. Cramer visited vet checkpoints and worked at a communications station taking in data on the mushers' day and dogs. Now back from her trip, she's sharing her experience with her students and all of Dix Street. They had hoped to be able to connect live while she was there, but a slow connection kept that from happening. The kids have been so excited to see her pictures of what they learned about and heard about. She took their questions with her and asked mushers, took video of the events and lots of pictures of the scenery, race, culture and much more. She also brought back a few souvenirs. She showed them all of that today and they were thrilled to see it. Cramer is still connecting with the people she met on her trip and will for years to come.